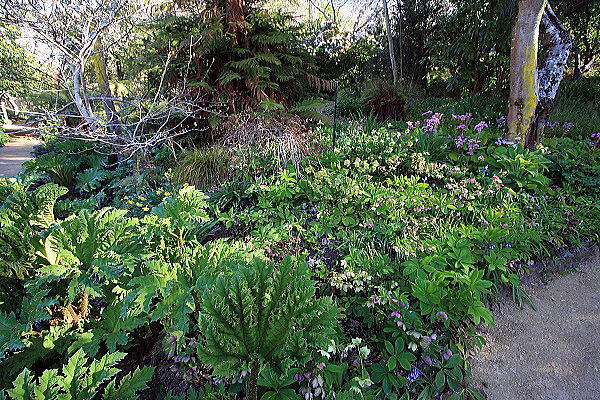 I had the opportunity to see my friends living in Christchurch, New Zealand (NZ) for the first time in 8 years in September, 2009.This time I had a plan to look for hellebores in private and public gardens and visit a famous hellebore nursery called“Clifton Homestead Nursery” with my wife and our host mother by car. 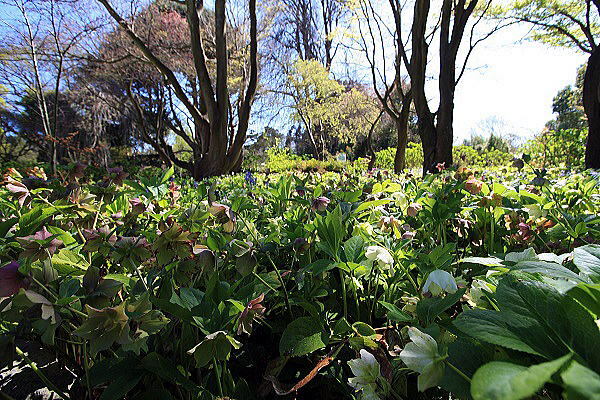 As you know, the seasons in NZ in the southern hemisphere are opposite to the ones of Japan, so we could still see flowering hellebores. Because it was early spring in NZ. It is 2 kilometers far from the city center. There is a nice restaurant where you can enjoy scones, afternoon tea and so on. They are huge gardens (30 hectares) consisting of many types of gardens including a Japanese one. It takes only 15 minutes or so from the Cathedral in the city center of Christchurch and admission is free. I think it is a good idea to spend quiet days there when you are free. I also recommend going on a family picnic there. You can see a lot of H. x hybridus (hybrids), H.argutifolius and many other kinds of flowers. You can enjoy punting on the Avon River in the gardens as well. It was too early to see many roses in the rose garden, but the cherry trees in the garden were in full bloom when we visited. It is located 600 kilometers south of Christchurch. You can see not only single flowers but also double ones of H. x hybridus (hybrids) there. In addition, you can see the species, H.foetidus. Most of the flowers were still blooming when we visited because it was much colder than Christchurch. 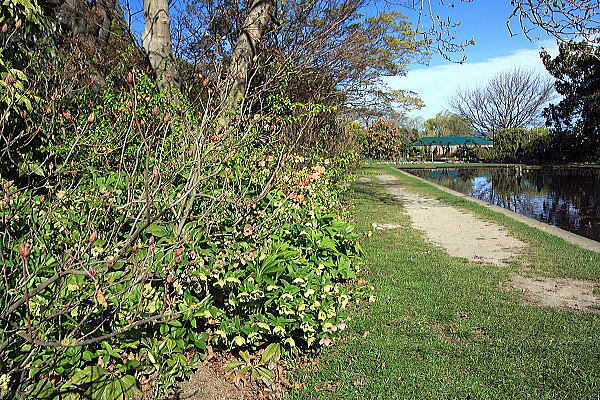 In the garden, there was a Japanese pond designed by someone from Otaru City, Japan, a sister city of Dunedin. 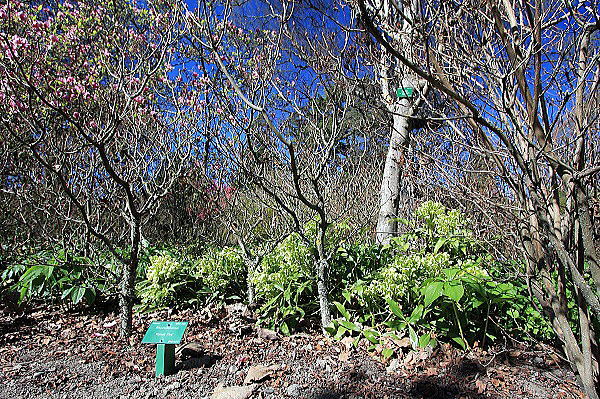 It takes about 15 minutes to get to Glenfalloch Woodland Garden on the Otago Peninsula by car from the central district of Dunedin. 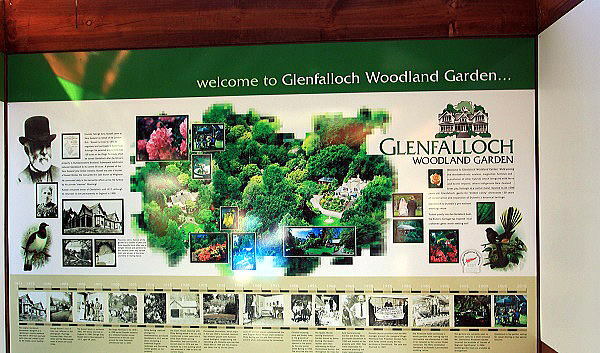 It is a historical garden founded in 1871 and called “hidden Valley” in Gaelic. You are expected to give a little donation instead of paying an admission fee. 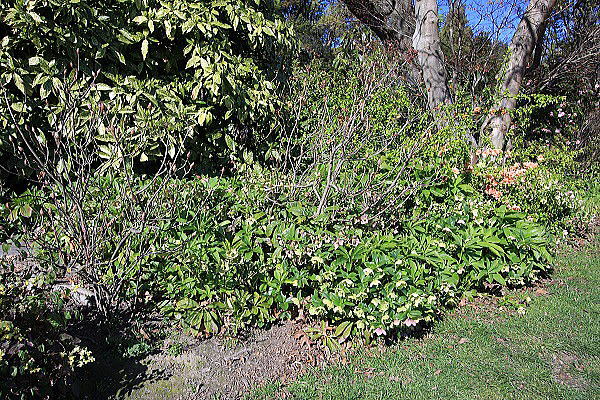 We were able to find a place where there were some flowering hellebores. 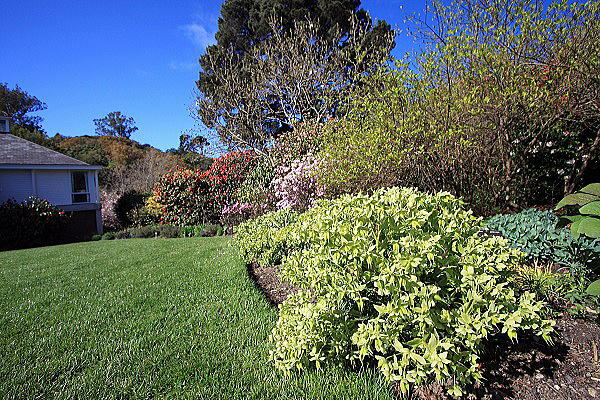 You can also see rhododendrons, azaleas, magnolias and so on in the garden. 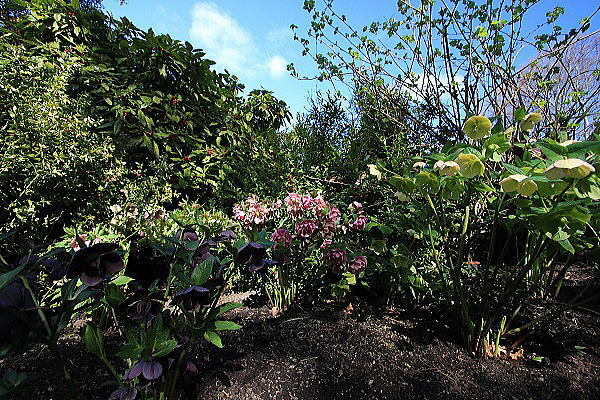 Copyright(c)2011 Japan Christmas Rose Society - Helleborus. All rights reserved.